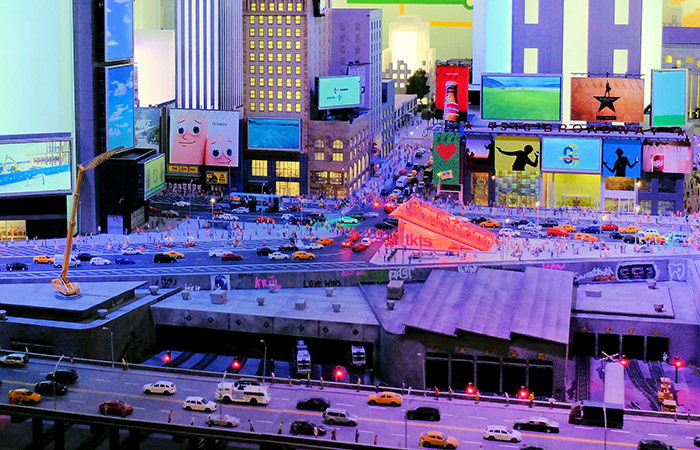 Gulliver’s Gate Miniature World in New York, is close to Times Square. 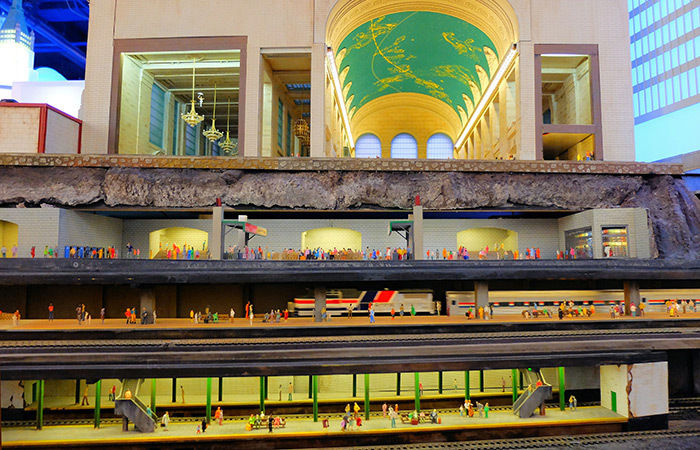 Here you can find a variety of tiny worlds under one roof, a unique attraction for young and old in the middle of Manhattan. You can compare it to Cockington Green Gardens (but indoors) or Legoland. Within a couple of hours, you travel not only through New York but also through the rest of America, Europe, and Asia. In addition, you can even visit fantasy worlds on your tour. The tiny buildings and landscapes were created by teams who come from that specific place, so they are extremely realistic. Gulliver’s Gate also uses the latest interactive techniques. Your e-ticket, for example is not only your entrance ticket, it can also be exchanged for a real key. This key allows you to set all kinds of things in the different worlds in motion. In the spectacular Gulliver’s Gate are countless famous buildings from all over the world. Within a few steps you are by the sea or at the International Space Station. All areas are interconnected: roads with as many as 10,000 cars, tracks with around 1,000 trains, plus every other conceivable mode of transport. Gulliver’s Gate is the largest miniature world in the US. If you want to see everything, you can easily spend a couple of hours exploring. Look closely and you’ll see surprising little details everywhere. Everything is built to scale: to be precise, 1:87. The figures are approximately 2cm tall. The attraction is a nice place to go with children, and with platforms and steps, it allows even the smallest visitor to see every detail. Ever dreamed of immortality? Here it is possible. For a fee, get a 3D scan of yourself to be placed somewhere within the mini world. 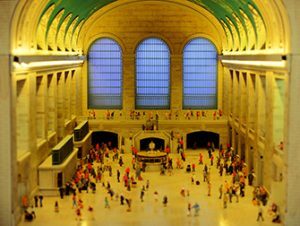 Eric’s Tip: Gulliver’s Gate Miniature World is a very unique attraction, not comparable to all the other things that are there to see in New York. The total experience doesn’t really have much to do with New York itself. However, the area that does focus on New York is relatively large and really fun to see. You can see miniature Times Square, including working illuminated billboards!